Dr. Sohrab Khoshbin, Ph.D., M., Sc., Hom., D.Acu., C.Ht. In addition to his doctoral degree in the field of organic chemistry, Dr. Khoshbin graduated in the fields of natural medicine and other interrelated fields such as nutrition. Chinese medicine, herbology and homeopathy. He has spent much of his time developing natural remedial substances and their practical application. He uses them in his private practice for the determination of modern naturopathic therapeutic standards. Many new natural preparations have been developed for the international market based on his research. Dr. Khoshbin is a founding member of the Canadian College of Holistic Health in Toronto. He has held various positions on numerous boards in the natural health care spectrum. He lectured at York University in Toronto and is the author of the book “100 Magic Herbs”. He is a member of the Scientific Advisory Board at Akuna Health Products Inc. and is the creator of the Alveo formulation. Dr. Bertlik: We should tell the readers how Alveo was designated. When I think about it, I think that throughout the years that we have worked together, we’ve never talked about your reasons for working on Alveo. We should start from the beginning. When was the first time you contemplated working on a herbal formulation? Dr. Khoshbin: I thought about it when I was a child. We live din Teheran, Iran; when I was born. My father was phytotherapist, and he was very successful. My mother was his assistant and I tried to observe my father carefully and help him. I wanted to be like him. I feel that I have fulfilled my childhood dream. 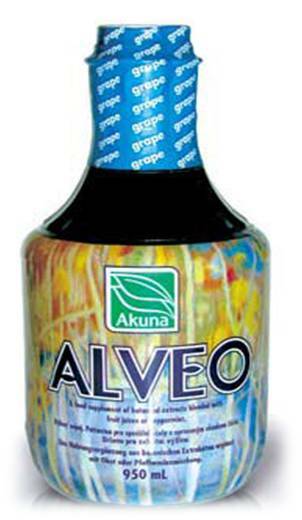 In that time was there anything like Alveo? No. I started to think about it during my practice in Canada, after my university studies and after I found out the typical problems and needs of my patients. Tell us more about university and your studies.